Home › Uncategorized › Why Are More E&P Companies Investing in Data-Driven Technology? There’s no question that data-driven technology has enabled companies in every kind of industry to improve what they offer and how they can best optimize operations. For example, if you were a retail company, you could use sales data to see what is selling, who is buying, and when they are buying it. This can help a retailer made adjustments to offer the customer what he or she wants, which will improve the retailer’s bottom line. In a recent talk at the Leaders in Industry luncheon in Houston held by the Independent Petroleum Association of America and the Texas Independent Producers and Royalty Owners Association, a CEO of an E&P company discussed the importance of using data-driven technology to analyze what is going on in a well to make decisions that optimize drilling and reduce overall waste and costs. Data-driven technology is constantly improving, and real-time reports can now be accessed on one’s mobile device. Data visualization and analytics software can provide a detailed picture of a mining area and enable leadership to evaluate operations and new acquisitions. As drilling technology has allowed E&P companies to significantly improve the number of barrels of oil produced per rig, data-driven technology can help an E&P company optimize operations as well. 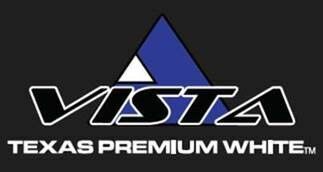 As one of the premier proppants suppliers in all of Texas, Vista Sand recently expanded to three mines and is constantly updating its technology to improve logistics. Vista Sand is well-known for its Texas Premium White frac sand, which possesses the highest crush strength of any sand produced in Texas. Vista Sand’s CEO and its leadership team understand that data-driven technology will be a major component of the proppants industry as well.